In a rare move, AMD is dual-sourcing the graphics silicon for its RX 590 Polaris 30 GPU, using both the anticipated 12nm Global Foundries process as well as Samsung’s 11nm node. 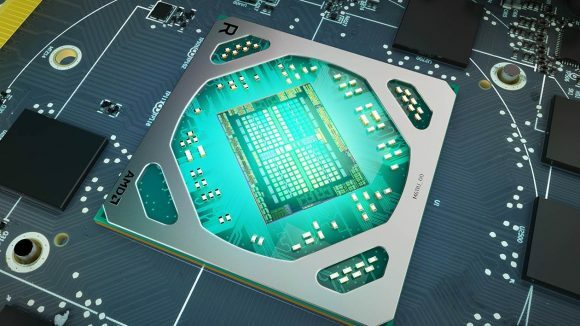 Originally we had thought the Polaris 30 GPU was being exclusively created by Global Foundries, but it now transpires that AMD’s former manufacturing department is now sharing graphics chip making with the Korean silicon giant. And that’s something AMD’s David Wang told me it traditionally tries to avoid doing. The AMD RX 590 GPU is a fascinating addition to the Radeon graphics card roster, coming in marginally above the RX 580 both in terms of price and performance, and topping the similarly priced GTX 1060 from Nvidia. 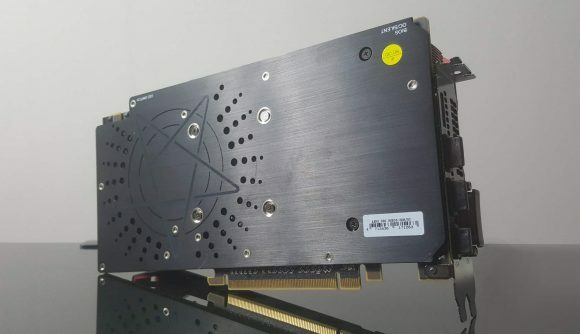 But it’s turned up at a time where the mainstream market is already oversaturated with graphics cards after the cryptocurrency mining downturn, while the chip manufacturers themselves are still inundated with orders for fresh silicon. Long-time AMD fab gang, Global Foundries, would normally be the go-to supplier for all the necessary GPU silicon, but it’s evidently working hard to crank out Ryzen CPU dies, and so it looks like AMD needs to satisfy GPU demand elsewhere. The details surrounding AMD’s dual-supply for the Polaris 30 come from TechPowerUp in response to a question posed to AMD itself. Straight from the equine’s bitey orifice, so to speak. Global Foundries is still supplying some of the RX 590 GPUs using its 12nm process node, but Samsung is also chipping in (see what I did there?) providing silicon derived from its 11nm process. Both are extensions of the same 14nm FinFET process Samsung originally licensed out to Global Foundries anyway, so there shouldn’t be any real difference between Polaris 30 GPUs manufactured in upstate New York versus the ones made in South Korea. The 11nm versus 12nm naming scheme is more about marketing than any lithographical decisions. Which is lucky because as each GPU is packaged in China there is no way to discern which company manufactured the graphics chip inside your RX 590. That’s not to say there won’t be some level of trepidation out there in the graphics card badlands as to whose silicon is the best, Samsung’s or GloFo’s. Which will offer more overclocking headroom, for example, or which will be more efficient? Whether real or perceived, the fears around a potential silicon lottery when there are two manufacturers at play around a single product are almost inevitable. And that’s why AMD doesn’t usually like to source different silicon for the same product. I spoke with David Wang, AMD’s senior vp of GPU engineering, in the summer and he wasn’t into the idea of having the same graphics card using multiple chip sources. We knew AMD was looking to Samsung as a potential supplier for 7nm chips going forward, especially as its upcoming Zen 2 CPU architecture has the ability to use multiple silicon nodes within one processor. But it’s definitely a surprise to see this dual-supply happening with a single graphics card.